Losing weight is difficult, but an ordinary forty-year-old man found the perfect formula to conquer weight problems without getting ripped off by fitness supplement companies. Gabriell Phillips reveals the secret to his successful journey from being overweight to being healthy and fit in The Truth on Fat Loss. Phillips emphasizes the need to lessen body fat in order to lose weight. Changing one’s diet alone will not do. Neither will taking supplements or other fitness products offered by the diet industry. Instead, Philipps has introduced a workout regimen to help people lose body fat. He takes readers through the conditioning stage where they can do stretching and abdominal work. They are then advised to increase their exercise intensity gradually until they reach the level that they can maintain for six consecutive months of aerobic training. Coupled with a healthy diet and lifestyle, this exercise routine guarantees a safer and more effective way of losing weight. 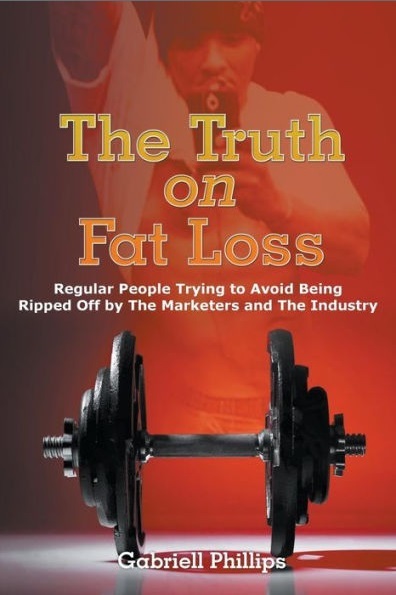 The Truth on Fat Loss was featured at the 2017 AJC Decatur Book Festival held in East Court Square, Decatur, Georgia. As one of the country’s largest independent book fairs, the event gathered thousands of participants from the literary scene. Growing up in the ‘70s, Gabriell Phillips was underweight but later developed problems after gaining weight with the help of a prescribed vitamin. It was not until he was sent to prison that he changed his lifestyle and worked to be healthy and fit. The success of this journey inspired him to write his book.